This may be our most classic shape and have been a celebrated guest at our family dinners for. 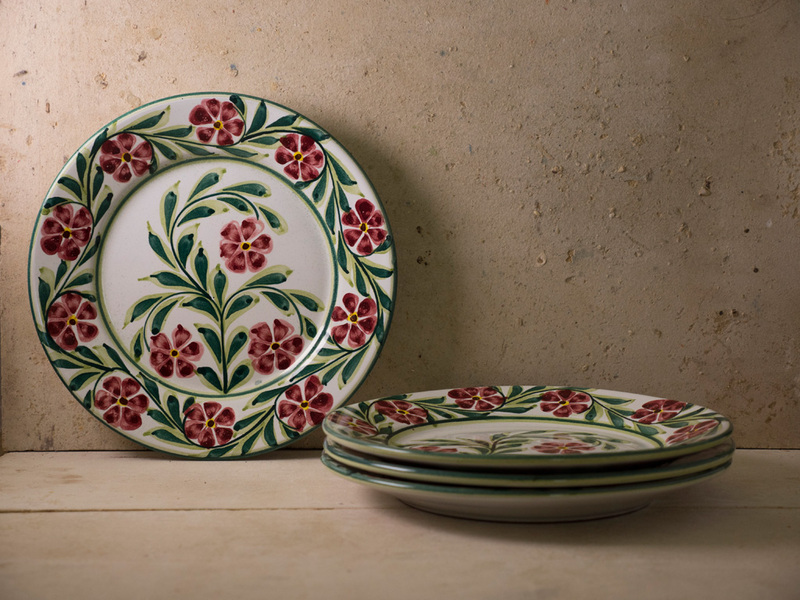 At home, we are still using plates everyday that were made at the pottery when the doors first opened in the 1960s. 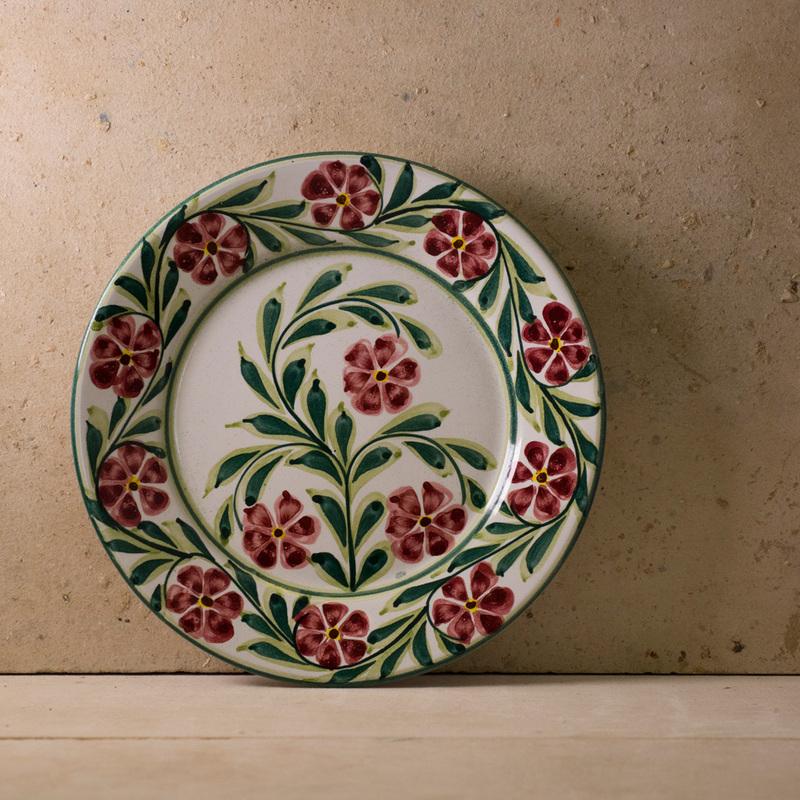 These plates are amply sized and have a deep profile, which is great for any and all dishes. 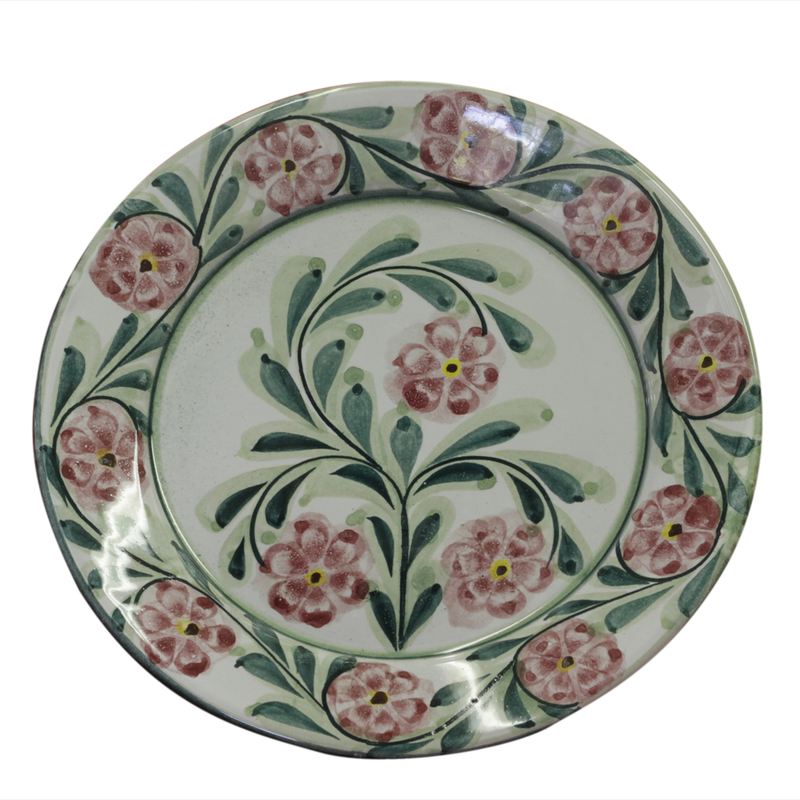 Our flowing Rambling Rose design is very traditional. In this style, the leaves and stems are in two shades of green and the red, yellow centred, flowers make for a warm contrast. 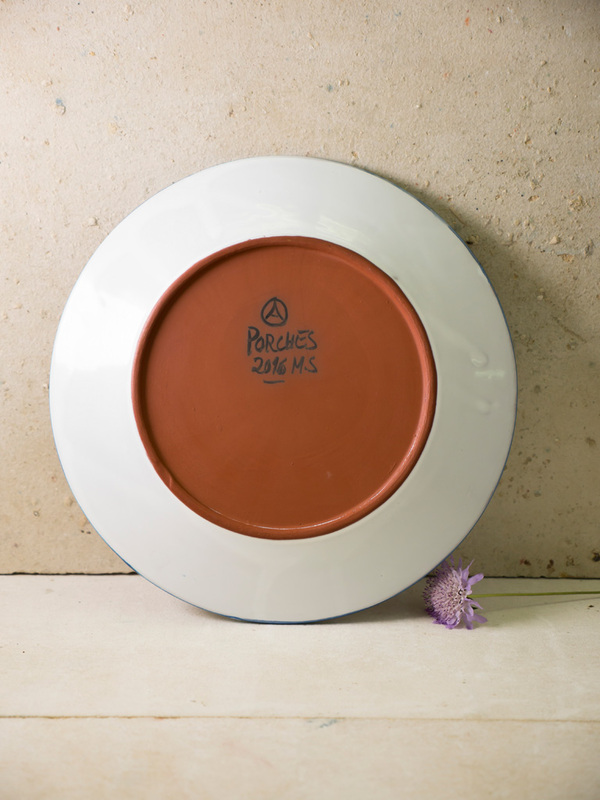 As with all our pieces the finish is smooth and glossy with an unglazed terracotta base that bears the painter’s signature, the date it was made, and the mark of our pottery.